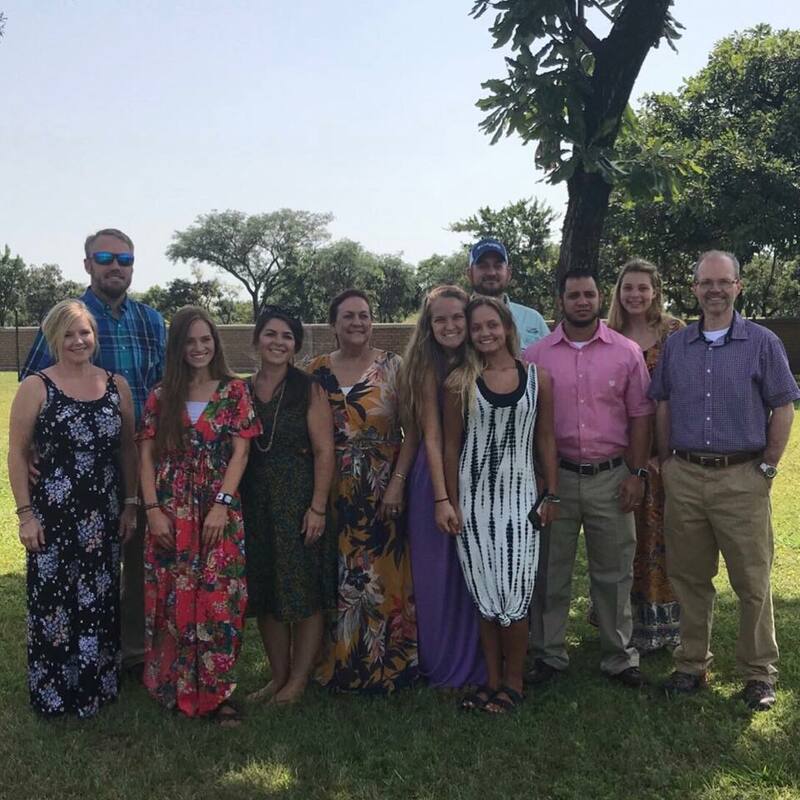 First Baptist Church Chipley sent out 10 missionaries, including pastor Mike Orr, to Uganda to work among the Acoli people and alongside long-term missionaries Allen and Mallory Corbin. The group landed in Uganda July 31 for a week of ministry. 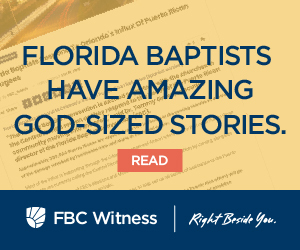 Below is pastor Orr’s first-person account of that mission trip. The darkness of the night cloaked the land as we walked out of the airport to meet the missionaries. Our ten-person, travel-weary team longed for a place to lie down for the night. After loading the luggage the missionaries took us to a guest house in the city of Entebbe to get some rest. We were up by six the next morning, a quick breakfast and off we went to the place where we would spend the next few days. As dawn broke, the city came alive and teeming with people. Once out of the city, with the sun up, we were able to view the Ugandan countryside. Within approximately three hours we crossed the Nile River and were in Acoli territory, and after another two hours or so we arrived at Abaana’s Hope. Abanna’s Hope is a ministry situated on a 100-acre property. It includes missionary housing, a school, small medical clinic, cooking areas, corn grinder and farm. The ministry also includes a village of refuge for abandoned women who have a difficult time in the culture. Allen and Mallory Corbin are missionaries out of First Baptist Chipley and work with Four Corners, an organization ministering to the Acoli people. The task for the men on our team was to do a men’s conference. The women on our team were to work with the children who attend Abaana’s Hope school and to invest in the local women. A team from First Baptist Chipley traveled to Uganda to minister to the Acoli people. Early Friday morning the locals killed a heifer and three goats to feed the men who would attend the men’s conference and over the next two days, two missionaries, a deacon from FBC Chipley and I taught these men. We shared the Gospel, taught God’s design for marriage and how they are to treat women. The men were challenged to take the Gospel to others and model the power of the Gospel in the way they lived their lives. I was amazed at their attentiveness and their hunger for knowledge of the truth. At the end of each teaching session we took questions from the men. The first day we had to limit the questions and answer time to a little over an hour. Saturday they asked questions and we answered for two and half hours. In terms of marriage, their cultural beliefs are contrary to God’s design for marriage. Many of the men have multiple wives and view their wives as their personal property because they pay a dowry for them. With the truth of God’s word and the power of the Holy Spirit we began chipping away at the false ideas about the marriage relationship and taught the picture of the Gospel in marriage. There is much work to be done and these missionaries are committed to the work they’ve been assigned. There are unreached and underserved people groups nearby so the local church is being discipled to send out missionaries of their own to these people groups. Allen and Mallory, along with the two additional couples at Abaana’s Hope, stressed to us the encouragement they received from the mission team, especially being from their home church. The experience of a short-term trip helps with personal discipleship not to mention the Kingdom impact on the people of the particular region. Churches are enhanced in their global Kingdom awareness by these trips. I encourage every church to consider short-term trips in addition to cooperative program giving and strategic praying. I left Uganda with an even deeper level of commitment to help the Corbins in this ministry to reach and teach the Acoli people.